An international cooperation of astronomers will be turning their telescopes to the Milky Way’s galactic center, in the hopes to being the first ones to ever successfully image the event horizon of a black hole. The team hopes to determine the mass and spin of the event horizon of Sagittarius A*, the black hole at the center of the Milky Way Galaxy. That is no small feat, since Sagittarius A* is 26,000 light years from Earth. 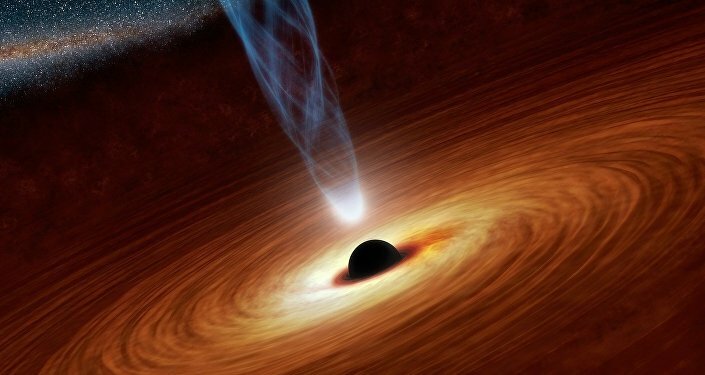 Compounding the problem, black holes give off virtually no light. This means that there is no telescope powerful enough to image Sagittarius A* – as University of Massachusetts, Amherst, astronomy professor Gopal Narayanan put it, it's "like trying to image a grapefruit on the surface of the moon." This for an object 4 million times as massive as our sun! Even UMass' super powerful Large Millimeter Telescope (LMT) in Mexico lacks the power for this task. But when no one telescope is sufficient, the answer is simple: use more telescopes. Enter the Event Horizon Telescope (EHT), which is not one device but a network of them. The EHT will be utilizing eight telescopes around the world in Hawaii, Arizona, Chile, Spain and at the South Pole. Each one will be pointed at the black hole to simulate an observational dish the size of a planet, a technique known as Very Long Baseline Interferometry (VLBI). They will study Sagittarius A* between April 5 and 14. At the center of it all is UMass and the LMT. "Using Earth's rotation and aiming each telescope at the same object, over the course of many hours their sampled curves, combined, resemble the observational effect of one large instrument," they said in a statement. "The strategy of combining several telescopes to create a simulated larger dish area, known as Very Long Baseline Interferometry (VLBI), is not new. … It has been in use for decades, but this is the first time millimeter-wave VLBI is to be undertaken on such a massive scale." 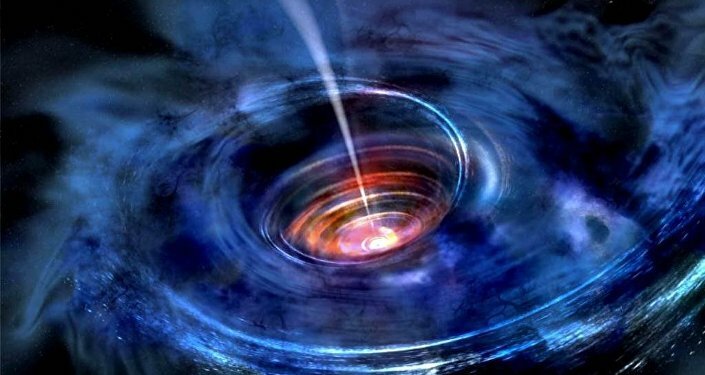 Astronomers hope that their observation will answer some of the many questions we still have about black holes. "At the very heart of Einstein's general theory of relativity there is a notion that quantum mechanics and general relativity can be melded, that there is a grand, unified theory of fundamental concepts. The place to study that is at the event horizon of a black hole," said Narayanan. In addition to Sagittarius A*, EHT will image a supermassive black hole in the center of the Messier 87 galaxy 53.5 million lightyears from Earth. As big as Sagittarius A* is, Messier 87 is almost 1,500 times its size, at 6.3 billion solar masses. A bigger size means a bigger event horizon, allowing the EHT to image Messier 87 despite its extreme distance. Astronomical institutions in Canada, Chile, China, Europe, Japan, Mexico, Taiwan and the United States all collaborate on the EHT. The global project is a network of radio observatories and telescopes that transmit their data to the MIT Haystack Observatory. The event horizon is essentially a sphere of supergravity that surrounds a black hole. Any object that enters the event horizon (even things like light and time) cannot escape, and will eventually be consumed by the black hole at the center.